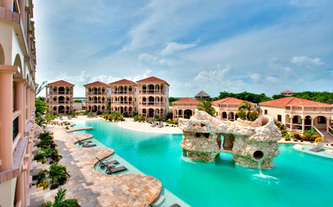 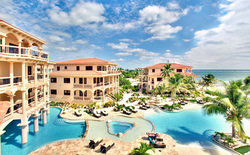 Coco Beach Resort "Our Belize Vacation" - "Our Belize Vacation"
The weather in Belize is ideal. Resort guests can expect a subtropical climate, Palm trees, Coconuts, Hammocks and the most incredible swimming pool on the island. 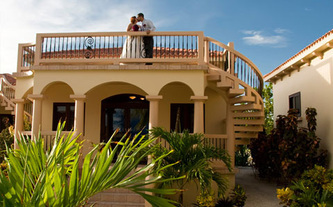 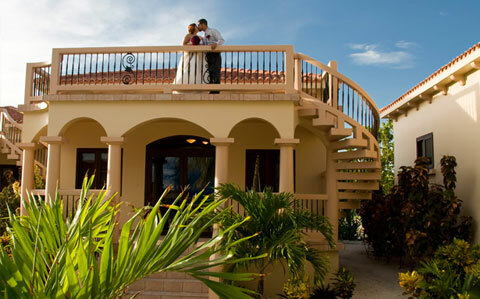 Coco Beach offers luxurious accommodations in a quaint environment. Coco Beach offers numerous activities including SCUBA diving, fishing, day tours, volleyball, sailing, kayaking and much more! Coco Beach Resort is the right choice for your vacation in Belize. 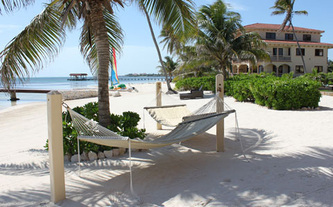 Nestled on a stretch of pristine white sandy beach is a haven of romance, barefoot luxury, relaxation and adventure known as Coco Beach Resort… a full service, 4-star Sandy Point Resort located just 3½ miles north of the town of San Pedro, Ambergris Caye. This captivating luxury beach resort offers the utmost in ocean front barefoot relaxation. Featuring 2 large free-form, fresh water swimming pools with pool bar, and Jacuzzi, truly representative of this oasis. 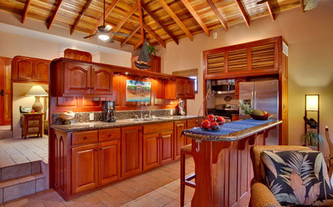 Luxury Hotel Rooms and suites showcase Balinese furniture from Indonesia, tiles from Spain and 100% Egyptian cotton linen, as well as Belizean hardwood cabinets and granite counter tops in the suites' gourmet kitchens. 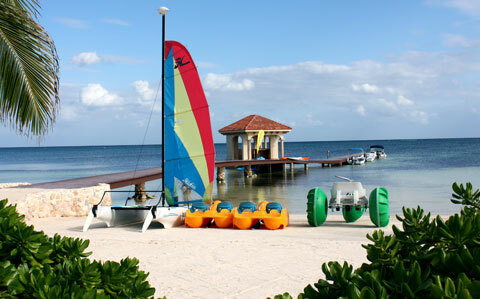 The resort is only 10 minutes from San Pedro town by boat! To suit every clients desire, Coco Beach Resort has some of the best accommodations and amenities on Ambergris Caye consisting of 17 Standard Luxury Hotel Rooms, 15 Two Bedroom Pool View Villas, 5 Cozy Casitas, 20 One and Two Bedroom Sea View Suites and 5 Two Bedroom Penthouses, all overlooking the resort's beautiful Caribbean views, tropical landscaping and pools. 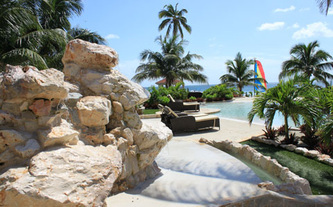 While staying at Coco Beach Resort, guests can enjoy unlimited use of the resort's complimentary WIFI internet and sea kayaks, as well as access to volleyball, basketball and tennis courts at our sister property, Belizean Shores Resort. 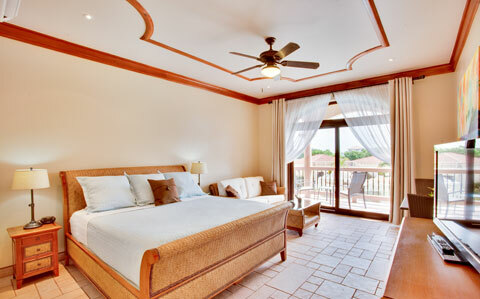 Our 17 Luxury Hotel Rooms feature one king sized bed, a pull-out twin sized love seat and a bathroom. 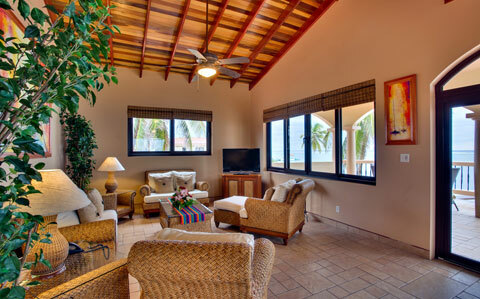 Each room is equipped with a 40 in LCD TV and a coffee maker. 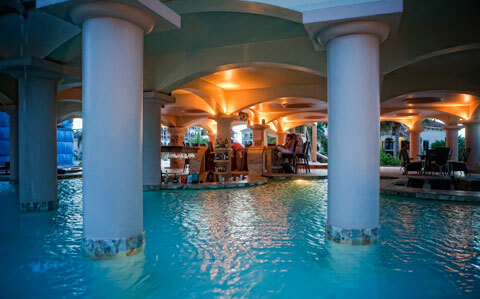 All rooms will have a private veranda overlooking our uniquely designed swimming pool. Our Two Bedroom Pool View Villas feature a master bedroom with king sized bed, a second bedroom with (twin) trundle beds and one bathroom. 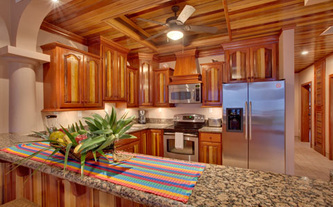 Our full kitchens are equipped with GE stainless steel appliances and eating bar. Each Villa offers a separate dining area that can accommodate parties of four. 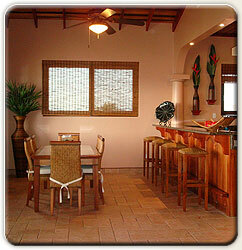 The living room is furnished with rattan furniture and a 40 in. LCD TV with over 40 cable channels in English. From your private patio or balcony you will enjoy views of our uniquely designed swimming pool. Our One Bedroom Casitas offer spacious bungalow layouts that use different levels to define different interior spaces. 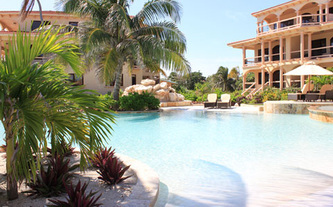 Each casita has one separate sleeping area, one bathroom, a full-sized kitchen, separate dining area and feature many of the same amenities found in our suites. Each casita offers a king-size bed and a full-sized pull out sofa. 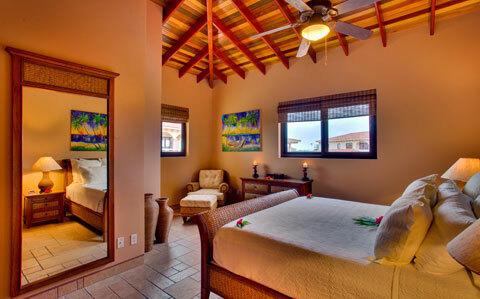 Our One and Two Bedroom Suites feature one king sized bed and one bath per bedroom. Our kitchens offer a spacious layout and are equipped with GE stainless steel appliances. 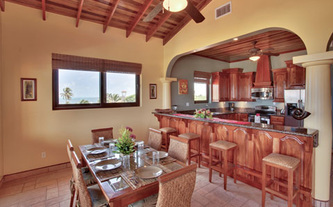 Each suite offers a separate dining area that can accommodate parties of six or four. 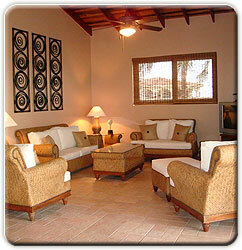 The living rooms are outfitted with rattan furniture and Sony televisions equipped with cable television. 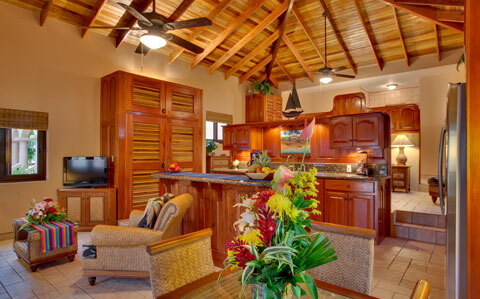 In addition, a full-sized pullout sofa in each living room offers additional sleeping space. 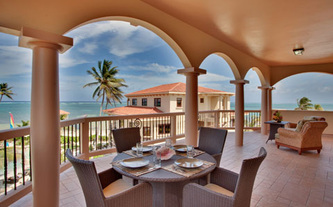 The Penthouses, being the ultimate in luxury, are on the third floor and boast much more interior living space as well as a larger deck area which offer amazing views of the Caribbean.